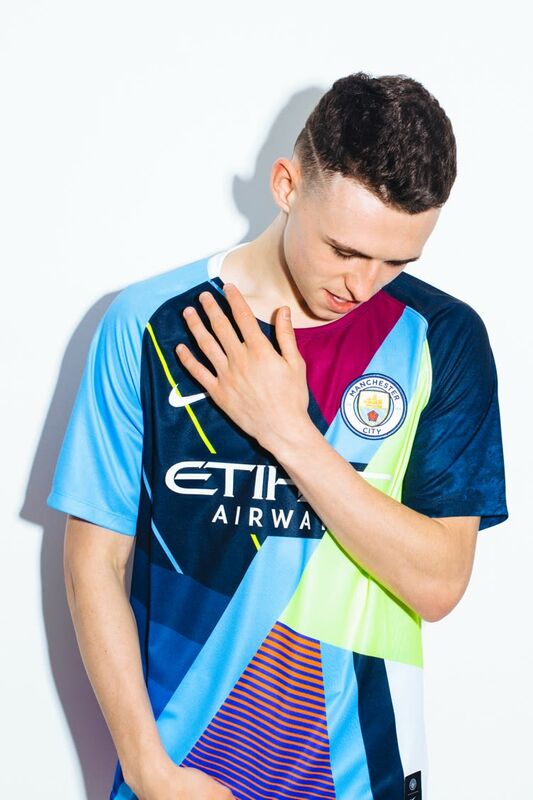 Nike and Manchester City have joined forces to create a special jersey commemorating the partnership stretching back to 2013, consisting of six major trophies won. The jersey itself is comprised of the most iconic colourways throughout the years all mashed together for one unique, celebratory jersey. There are a total of 9 jerseys featured within the design. 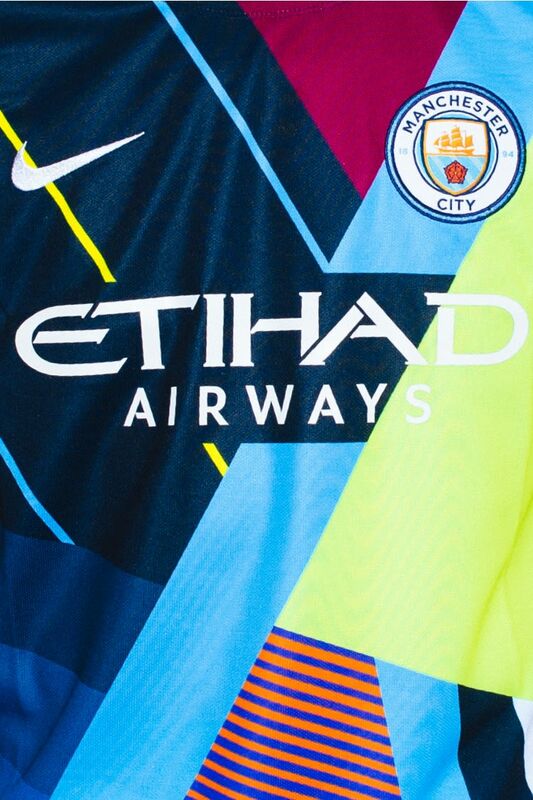 City’s previous badge is etched at the back of jersey and is an ode’ to the initial crest used in the original jersey Nike created for the club. All the strips converge in the centre featuring elements of previous iterations. 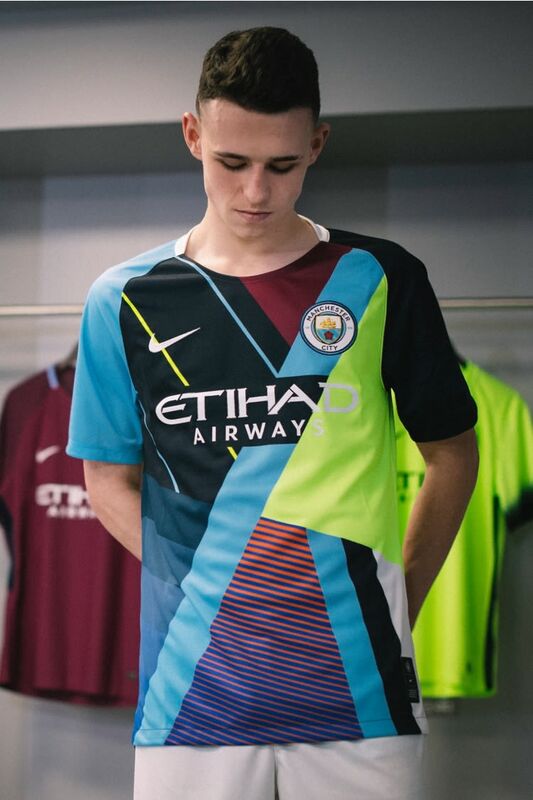 Among the kits is the home shirt from City’s legendary centurion season in 2017/18 in which they broke the Premier League record points tally, donned by the likes of Kevin De Bruyne Raheem Sterling and John Stones; and the third shirt from their domestic double winning campaign in 2013/14, worn by midfield lynchpin Fernandinho. All the jerseys are individually numbered.